We offer two options for Nucs. Please review each one before placing your order. Nuc is short for Nucleus, which is basically a starter colony of bees including honeycomb on frames that fit into a Langstroth style deep hive box. Each Nuc comes with a mated/laying Queen and bees with a balanced mix of the essentials; brood, pollen, nectar and honey. 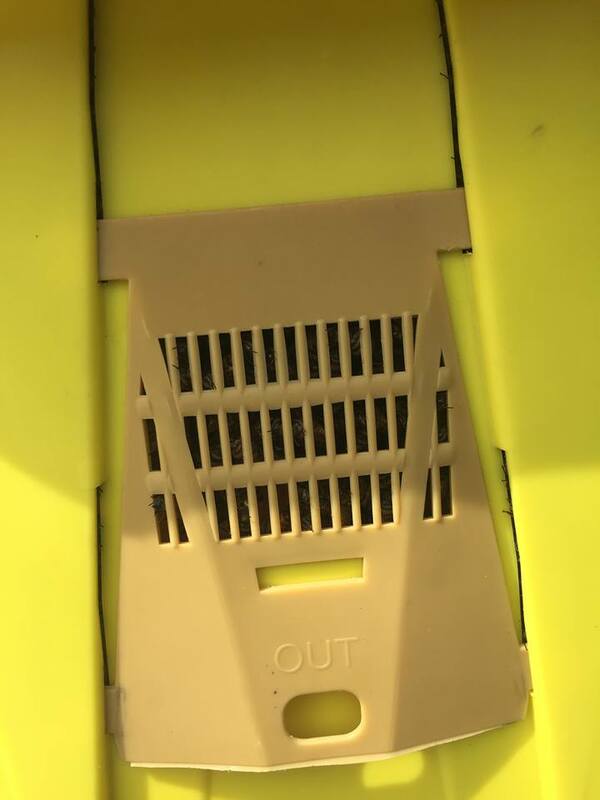 They will come contained and closed in a temporary transport box safe for travel in the cabin of your vehicle, but they will need to be transferred into a standard size 8 or 10 frame deep box, such as a full Hive Set soon to prevent swarming. You will have the option to add the number of Nucs you would like when you get to the next page after you click the "Add to Cart" button. Please contact us if you have any questions or would like additional information. We will send a notice with all of the needed information a week or so in advance of the scheduled pickup date as well as the physical address to be used on a given date. Please make sure we have the correct and most current email address and phone number when ordering. 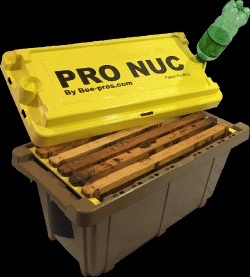 The Nuc is our second most popular starter hive option. (The Apiary Starter Kits are the most popular because these kits have boxes, bees and tools.) The Nucs contain all the components of the colony. 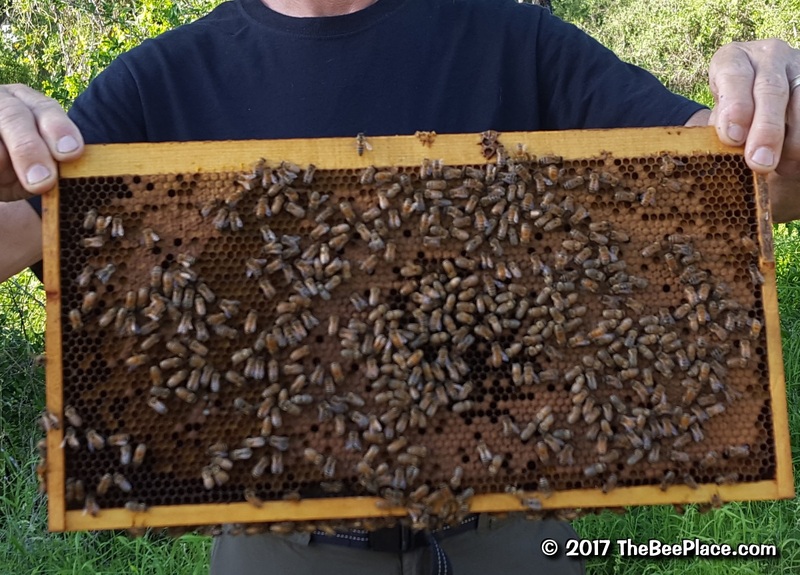 Starting with a mated and laying queen bee, frames of brood (eggs and larvae in multiple stages) with nurse or "house bees", frames of pollen, nectar, and honey with workers or "field bees". 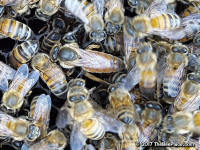 We do offer "Beekeeping Basics" group classes. 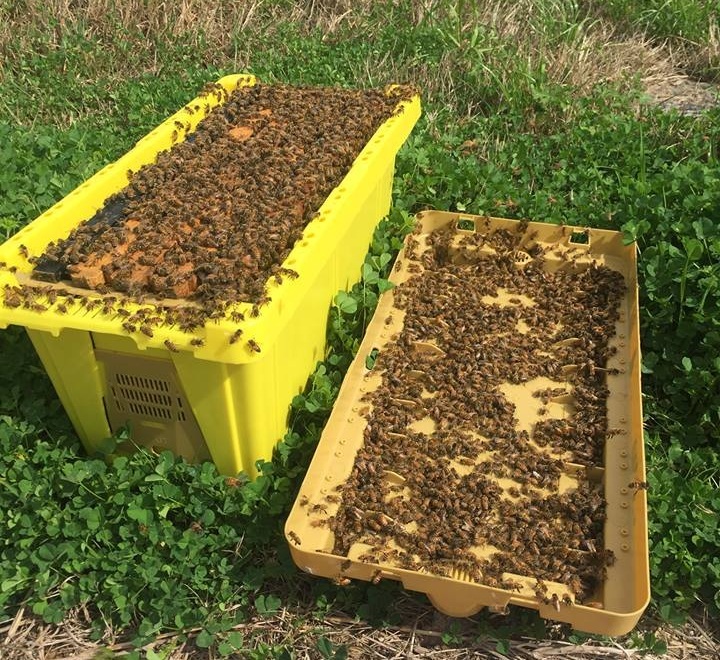 These are held the same day as bee pickup at our Somerset location. 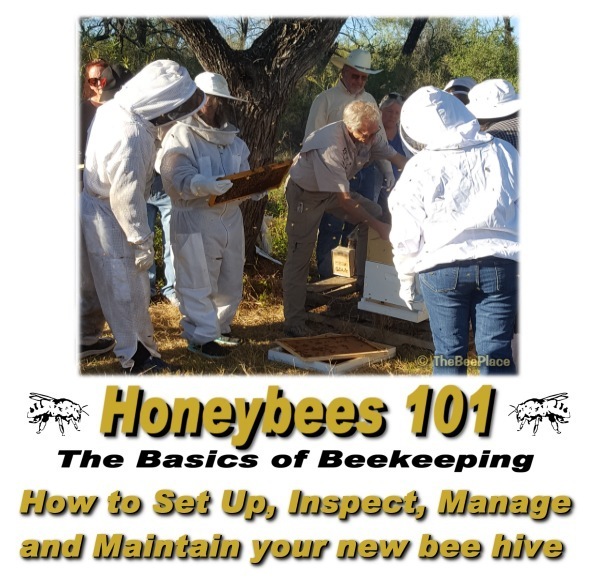 Click here Honeybees 101 for more details. 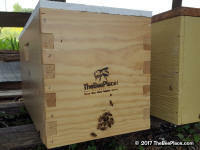 Also available are complete Hive Kits with Bees including the hive boxes with a deluxe top and bottom, or select one of our Apiary Starter Kits. 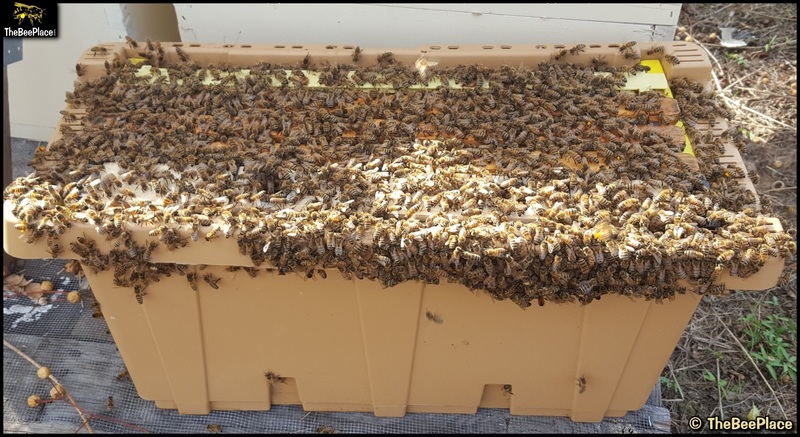 We treat for Varroa* Mites prior to pickup dates. 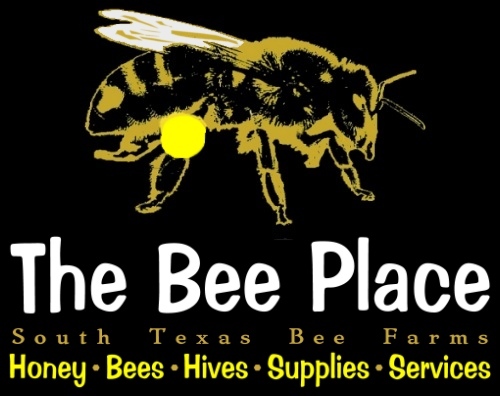 In this session we will go over the basics of beekeeping as well as how to set-up, inspect, manage and maintain your new bee hives. Includes "hands on" in an open hive, protective gear recommended. Since we must make all necessary arrangements and commitments to secure everything needed to fill orders, from equipment to bees to queens etc., all cancellations for refunds must be requested within seven days from the time the order is placed. 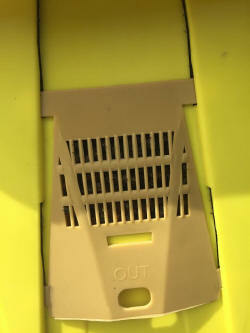 Returns for bees: Since bees are livestock and are subject to diseases, pesticides, temperatures and other factors that effect their health, and we have no control over the conditions the bees are subjected to once they leave our yards, we require a notice within 24 hours if there is any health issues with the bees. Returns for equipment and gear: If there is any issue with any equipment or gear, please let us know within seven days of the receipt of the product and we will arrange for an exchange.